A chef has been ordered to pay over £400 after he was caught by police with heroin. 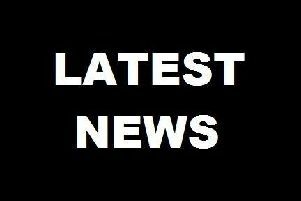 Chesterfield magistrates’ court heard how Jacob Bower, 35, of Boythorpe Avenue, Chesterfield, was spotted by police leaving an address with the drugs. Bower accepted to police he had the heroin and explained he uses the drug and smokes it and he has had issues with drugs since 2002. The defendant, who was last in court in 2017 for possessing heroin, pleaded guilty to possessing the controlled class A drug in June. Defence solicitor Rob Sowter said Bower accepts he has long-standing, on-and-off, heroin issues. Mr Sowter added that Bower is employed as a chef at a public house and he is on a prescription to address his drug problem. Magistrates fined Bower £300 and ordered him to pay £85 costs and a £30 victim surcharge.